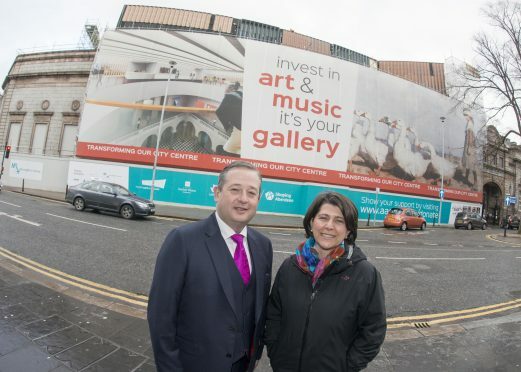 The Barrack Charitable Trust, funded by local commercial property developer Knight Property Group, have donated £150,000 to support the ambitious £30m redevelopment of Aberdeen Art Gallery. The funds were awarded to Aberdeen Art Gallery and Museums Development Trust in support of the Inspiring Art and Music fundraising campaign by the Barrack Charitable Trust in December after Chairman and Founder James Barrack expressed a particular interest in the Gallery’s new display planned for Gallery 10. The Barrack Charitable trust have recently been recognised for supporting a number of education projects throughout Scotland, including the Paired Reading project which focuses on developing children’s literacy skills. The opening display in Gallery 10 will feature Aberdeen Art Gallery’s choice collection of French paintings from the late 19th to the early 20th century, a time when Paris and the surrounding area were at the centre of the art world. In a unique hanging arrangement, the artworks will be paired with British examples from the same period in order to demonstrate the far-reaching influence of French art. As well as enhancing original gallery spaces such as Gallery 10, the Inspiring Art and Music redevelopment will add an additional 10 new gallery spaces, including a spectacular copper-clad roof-top gallery with fit-for-purpose space to show the very best temporary exhibitions from around the world, as well as much-needed learning and event space. Aberdeen City Council said: “We are delighted that The Barrack Charitable Trust has chosen to give such a generous endorsement of £150,000 to the Art Gallery redevelopment, a project of utmost significance to the City of Aberdeen and the North East of Scotland. Aberdeen City Council are currently fundraising to secure a further £7million for the redevelopment of Aberdeen Art Gallery, Cowdray Hall and the Remembrance Hall and are appealing to Aberdeen Citizens to help support the transformation. Those wishing to support the project can visit www.aagm.co.uk/donate or phone 01224 523670. Donations can also be made by texting AAGM001 to 70970 to donate £5 and AAGM001 to 70191 to donate £10.